Jump into ice cream business! If you have your own spot or you are running a business ( a bar, a pizzeria, a restaurant, a shop) and you have some free space , we encourage you to cooperate with our company. We provide favorable conditions of cooperation and professional help in opening an ice cream parlor. You are allowed to use Gotti brand – a nationwide ice cream parlor chain. We provide menu, graphic layout and advertising materials. We will help you to find a right spot. We will help you to adapt the place. We will help you to buy a machine. We will help you to struggle with all formalities. We will organize ice cream production process training. We will train your staff. We will teach you how to use ice cream maker. 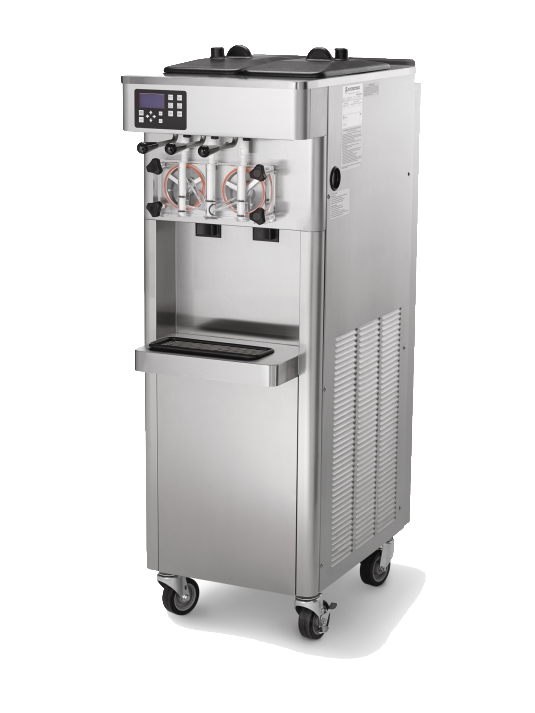 We ensure supply of ingredients and components which are used in ice cream production process. Franchisee should have the property which has from 10 to 25 square meters or at least 3 square meters in the existing point or just enough space to create ice cream island which has around 4 square meters. No initial fees required. The monthly fee is 500 PLN netto. We are looking for franchisees in Russia, Czech Republic and England. If you are interested feel free to contact us. Lody Franczyza | Ogólnopolska sieć lodziarni Gotti. Nasze lody są pyszne, świeże, pełnowartościowe o smaku waniliowym, śmietankowym lub czekoladowym, serwowane w chrupiących waflach.